Reading nooks don't need to be limited to the bedroom. 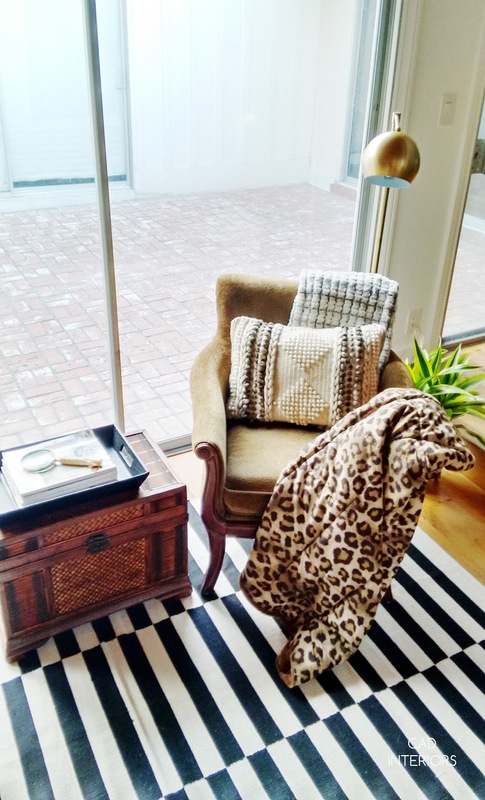 Grab a corner of your living room and set up a little vignette for perusing magazines or books! 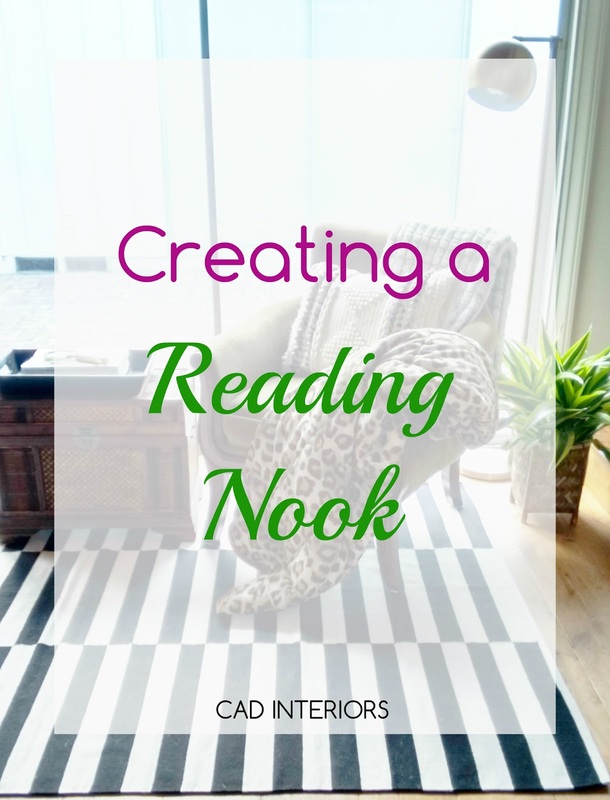 I'll show you what elements I like to include for creating a cozy and functional reading nook. It is much more comfy to curl up with a book or magazine if you are sitting on a well-cushioned upholstered chair that has solid back support. Good quality ergonomic club chairs, lounge chairs, or recliners are worthy investment considerations. If you have the space, a chaise is also a good option. Proper lighting is essential in all spaces. In reading nooks, it is especially important to add a task lighting source that directly illuminates the immediate area. Why unnecessarily strain your eyes while reading?! I particularly like to use directional floor lamps since they don't take up any table surface space. Add a sturdy surface next to your chair to lay a book, magazine, or drink. I like nesting tables for their compact multi-surface flexibility. A side table or ottoman with storage is always a practical option. "C-shaped" tables are a space-saving solution in really tight spaces. Who wouldn't love a warm blanket and soft toss pillow to cuddle with when reading?! Natural greenery (like a plant), flowers, and/or a candle can go a very long way in creating a cozy nook! I moved some furniture around in our family room to create this work-in-process reading nook. It is close to the "family action", but separated enough so I can flip through magazines hopefully uninterrupted! !